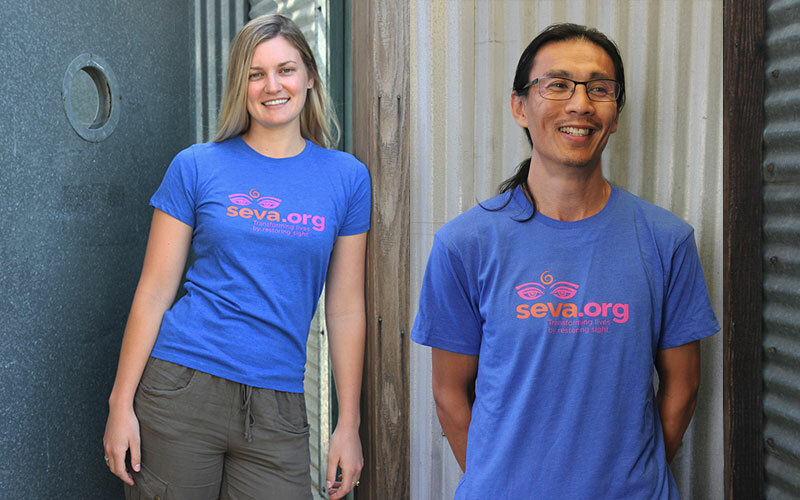 Soft, well fitting Seva shirt featuring the updated logo brightly on the front chest. Nothing on the back. 60% cotton, 40% polyester. Available in both Women's and Men's sizes.